Rhode Island might be the smallest state in the union, but it has plenty to offer climbing wise if you are a fan of its more diminutive form. 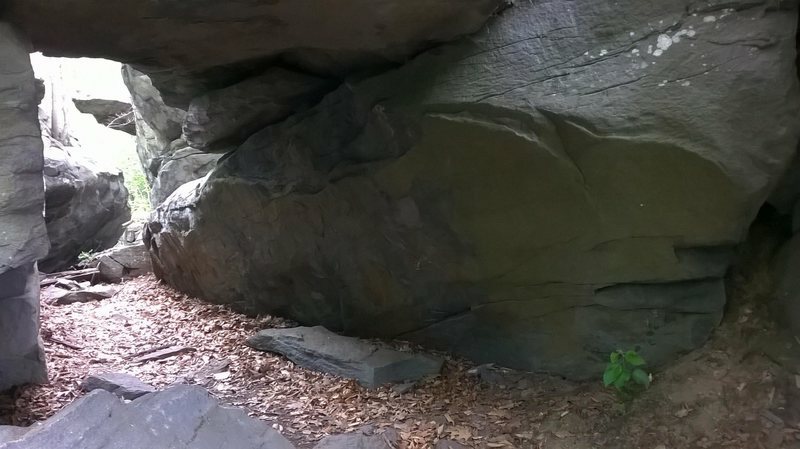 There is a well developed bouldering community here, with the main focus being Lincoln Woods State Park, just north west of Providence. 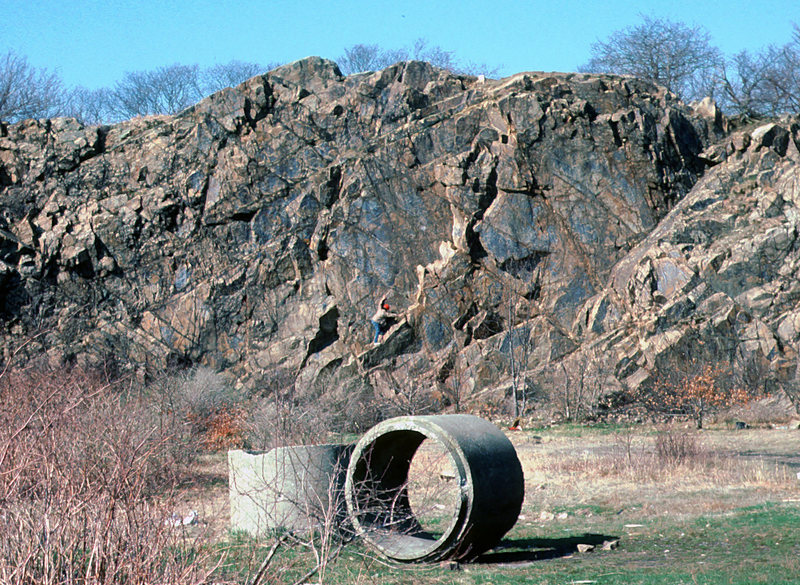 Being close to the city and its numerous colleges, the boulders and ledges of the 600+ acre park have been climbed on extensively since the early 70s. The quality, number of routes and fact that it is often free of snow when other places are covered means frequent visitors from the neighboring states as well, all who have helped add lines and upped the grades. There are hundreds of established lines, currently up to V13-14. Less well known, smaller, but sometimes high quality areas are scattered around the state, mostly in the western half, in the various management areas. If you want to take a break from the somewhat urban experience of Lincoln Woods and maybe find some new lines, exploring these other areas is recommended. 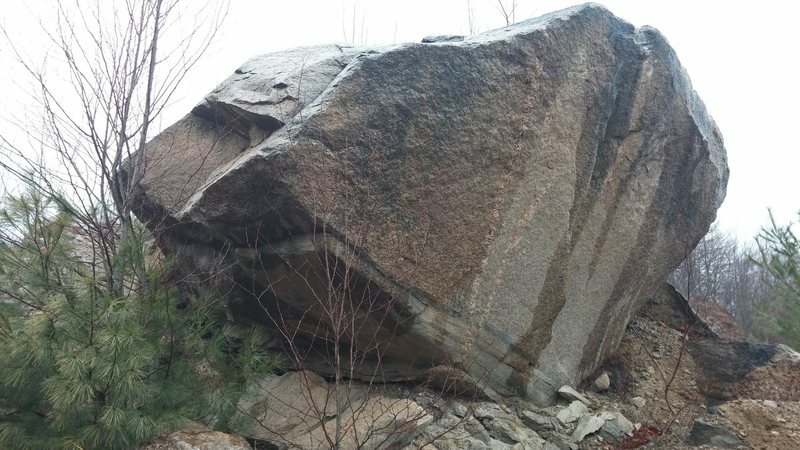 There are gems out there in the State Management areas, like the excellent Lost Boulder in the Arcadia Management Area, new finds at Beach Pond on the RI/CT border, and a few prized boulders at Black Hut, Rockville and Wickaboxet. 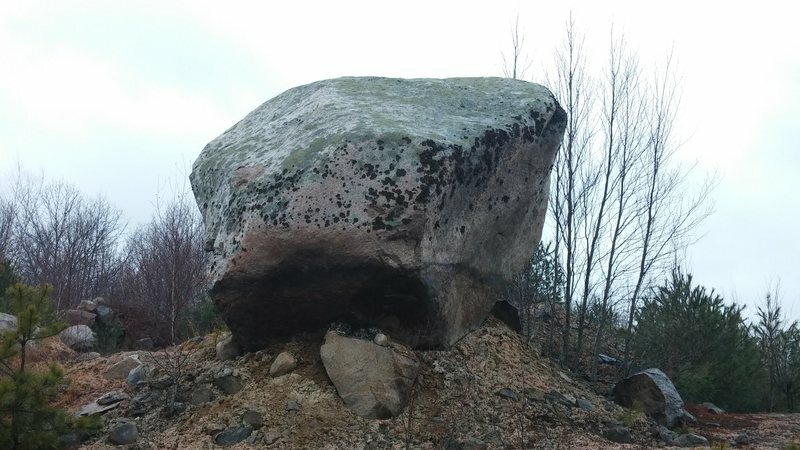 The newly accessible Rocky Point bouldering is becoming popular with its overhanging good quality rock. 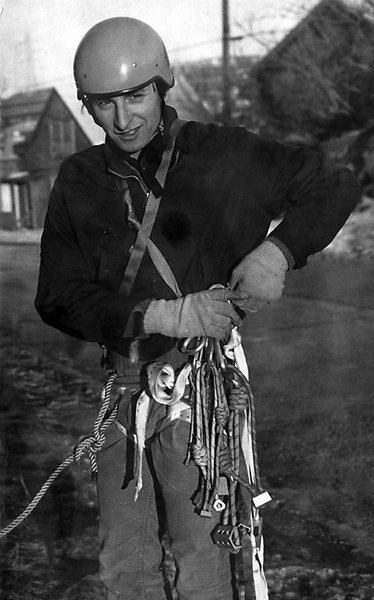 There is not much for roped climbing. Unfortunately, the best areas for that have been closed, like Diamond Hill and Long Pond. 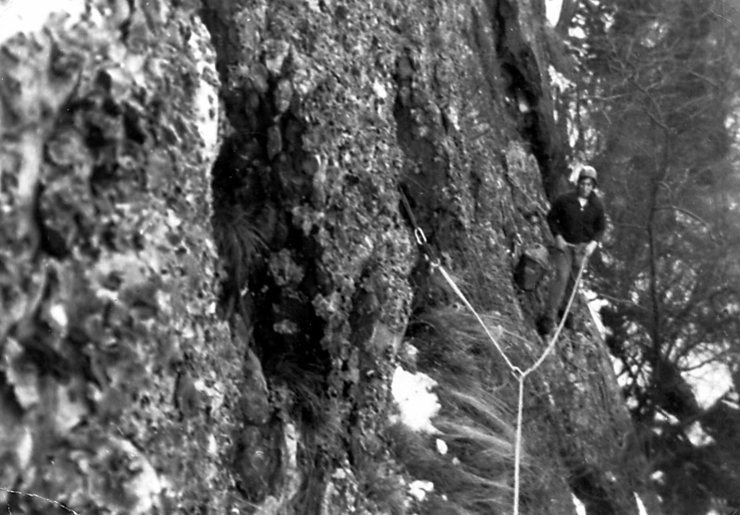 There is a bit of top roping and short trad leads available on the ledges of Durfee Hill, Snake Den, Mt. Tom and Breakheart Ledge (Arcadia), Beach Pond and Wickaboxet. Beach Pond could have the most roped climbing, but it hasn't been developed much. 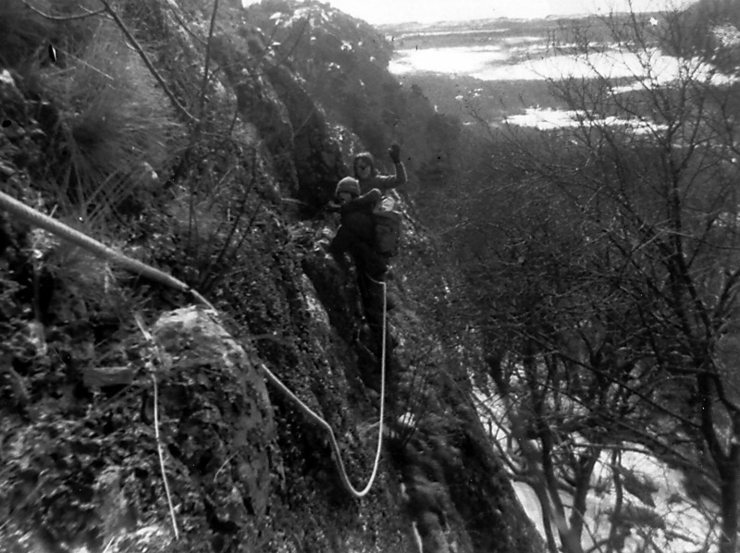 For nearby, more extensive roped climbing, you are usually better off heading over the border to Connecticut or Mass. The smallest state in the U.S., south of Massachusetts and east of Connecticut. 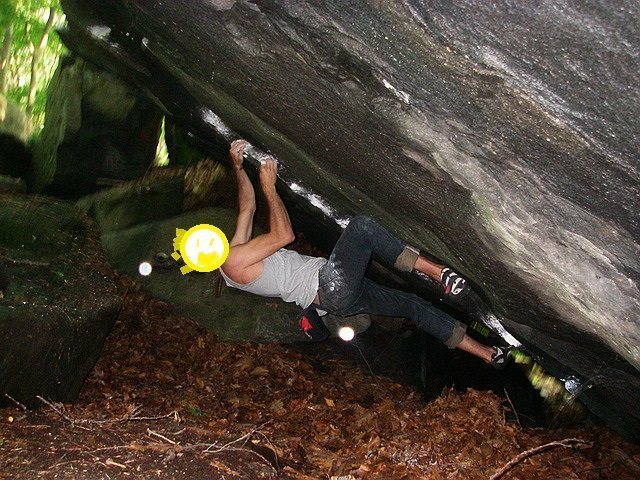 Rhode Island is a fairly urban area and as such, the most popular climbing area, Lincoln Woods, tends to reflect that. There is not much camping available. 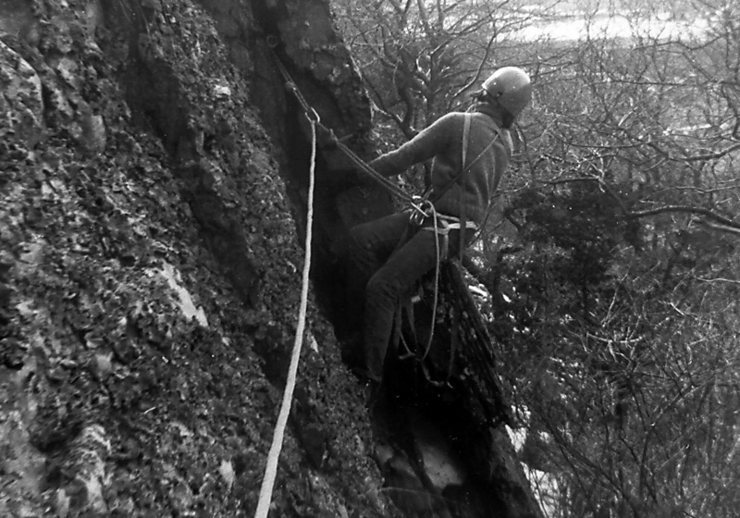 However, the climbing is challenging and interesting and there is a vibrant local community. 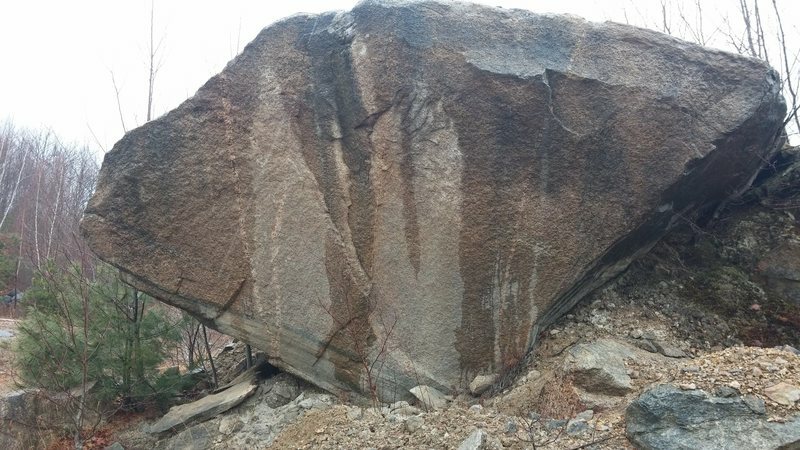 Has anyone ever looked at the boulders near Cranston High School WEST? You can see a few of the smaller ones if you park on the corner of Phenix ave and Metropolitan Ave, in Cranston. Their seems to be a lot of potentail! Theres trails there so I don't think its private property. 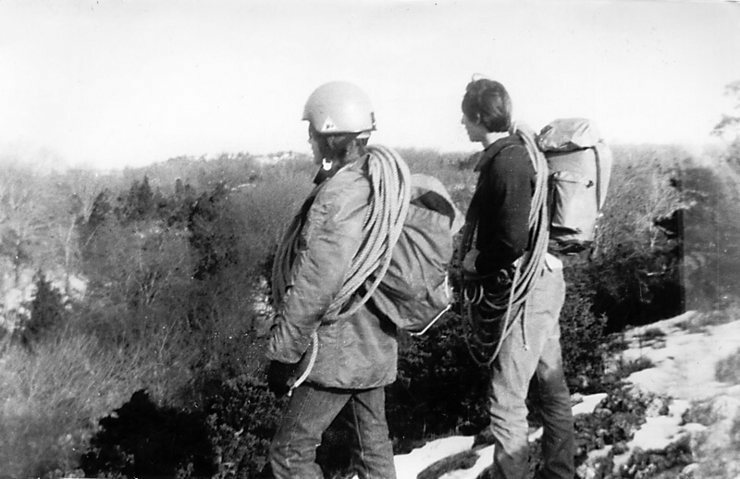 Back in the early-to-mid 1970s we did a lot of climbing on Aquidneck Island. We were in high school. Our favorite was a long scrambling traverse of the eastern sea cliffs from Black Point to Third Beach. The quarry in Newport was another favorite. I'll see if I can find some photos from BITD. There was also a small cliff in Portsmouth (the Hummocks) near the Tiverton Bridge. We used to rap and top rope there. Anyone know anything about this cliff? We also poached some climbing along Hanging Rock near Newport. We did it in the winter because no one was around at that time of year. We did long girdle traverse of this 2,000-foot long formation. I have heard about a quarry near Providence that people dive off of into the water from much height. The walls are supposed to be about seventy feet high. 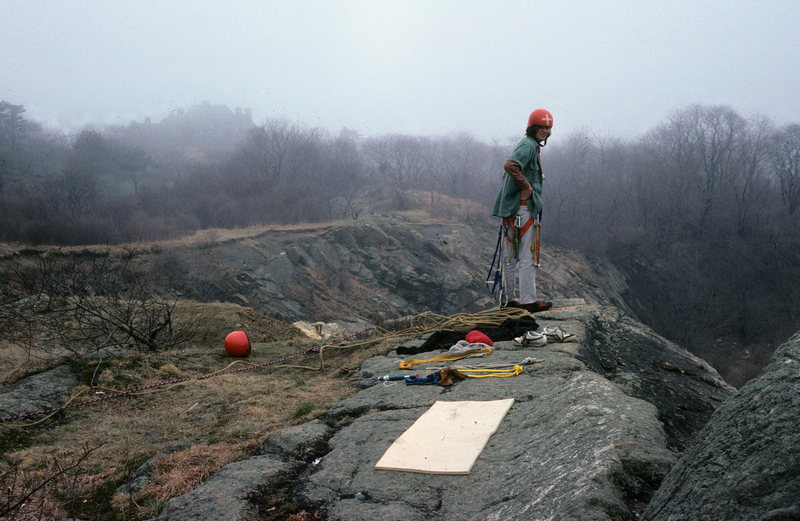 Here are some photos of the Newport Quarry, circa 1975. In the 2nd photo I see both goldline and kernmantle rope. The only place I know of that fits that description is the limestone quarry off of RT 146 and Wilbur Road in Lincoln. It is an active quarry and you will probably get arrested. If you know of another place I'd love to hear about it. >I have heard about a quarry near Providence that people dive off of into the water from much height. The walls are supposed to be about seventy feet high. i added about 20+ problems today to the Buckeye Brook area which is out near Burlingame. I found an old notebook from 2001 when were were climbing out there a bunch and it had a hand drawn topo of the area with a bunch of the names and route info... Check it out and tell me what you think... we are going to get the pics updated and added were needed to make it a more complete section..
..and here is its sister. She's big! Has anyone ever climbed at the old rocky point amusement park area ? There's a massive amount of rocks to climb there. Its now open the public. Im amazed it hasn't made it to this site yet. It will be great to have that info, Joe, now that it is legal. Old picture of somebody on Creep in the Jeep/Magic Carpet. Disguised to protect the guilty. I'm not sure if any of you are aware of this, I wasn't, but the RI State Park Regulations have changed with regard to rock climbing. It use to just say that rock climbing was permitted in all state parks and management areas except for Fort Wetherill. It now requires a waiver of liability (section below). You can get a copy of the waiver here: climbri.org/DEM-Waiver.pdf You may want to have a copy in your car or pack in case a DEM cop ever asks for it. "17.9 Rock climbing is permitted at state parks, and management areas except at Fort Wetherill State Park, Jamestown. However, in State Park Areas individuals participating in rock climbing activities must sign a release and waiver of liability (a copy of which is attached hereto and designated as Appendix # 1) prior to commencement of rock climbing activity. For organized group of any size, a group must submit a Special Use Application to the Chief of the Division of Parks and Recreation and obtain prior written approval of said Application. In addition, each member of the group of participants must sign Appendix #1 prior to commencement of any rock climbing activities in the State Parks. If the organized group is being sponsored by a commercial entity, the sponsor must provide evidence of the issuance of liability insurance in the amount of at least One Million ($1,000,000.00) Dollars naming the State of Rhode Island as an additional insured at the time of the submittal of its Special Use Application." I pin-pointed the cliff in the Hummocks of Portsmouth, found it after 40 years.